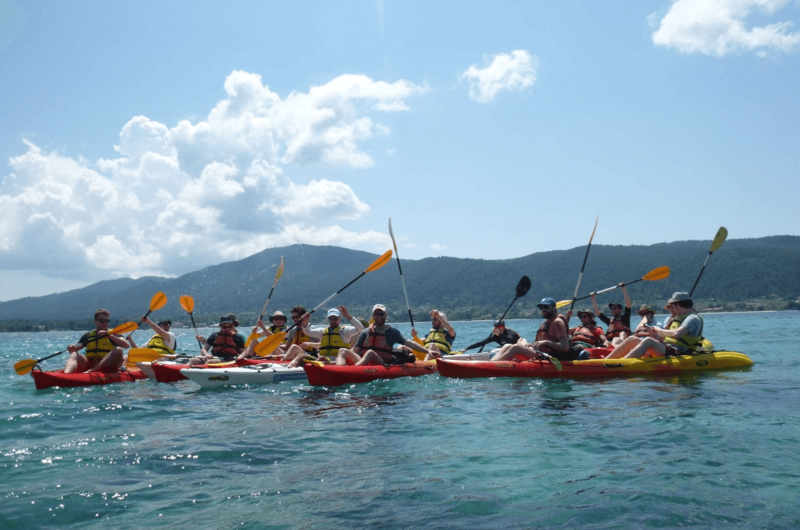 Our Sea Kayak Halkidiki Fishing trip combines two widely popular outdoor activities in one unique experience. 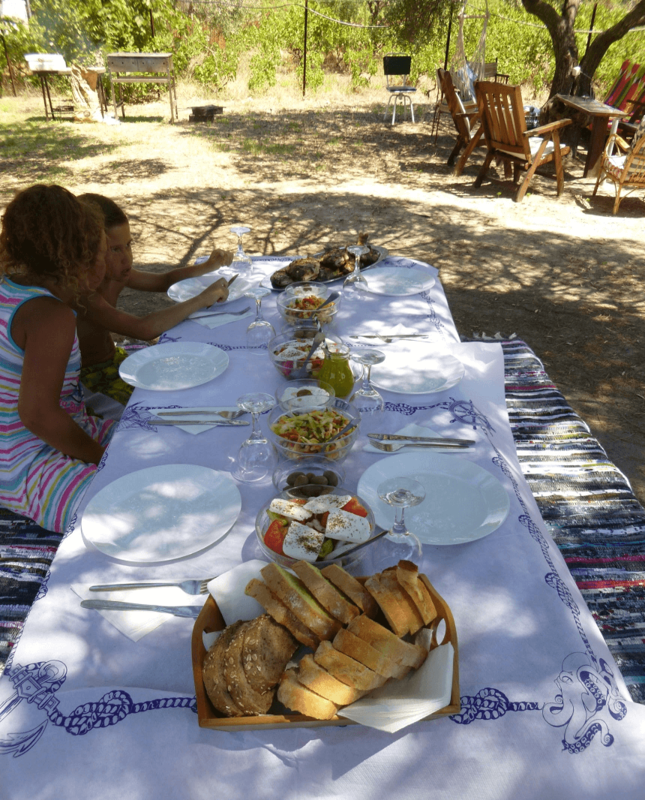 Enjoy a calm relaxed paddling in beautiful secluded beaches of the Diaporos island in Vourvourou bay, while learning everything you need to know about fishing, cleaning and barbecue your own fish! 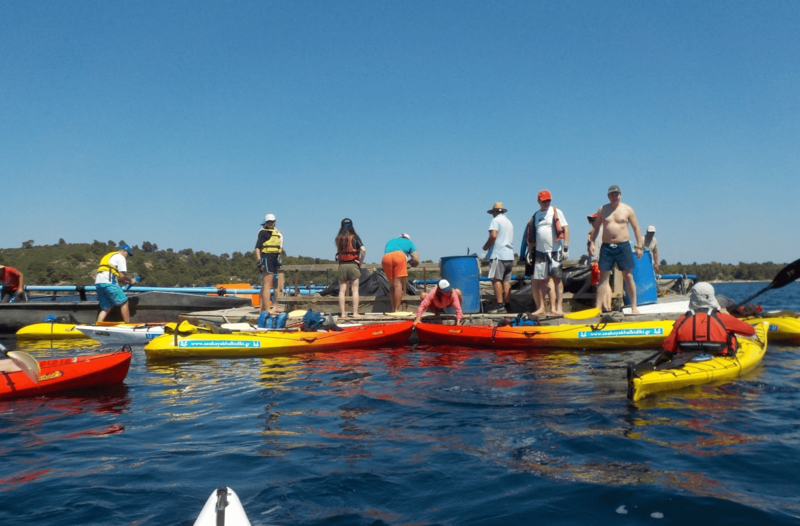 There is a minimum number of 8 participants required for the implementation of this Fishing Kayak trip. 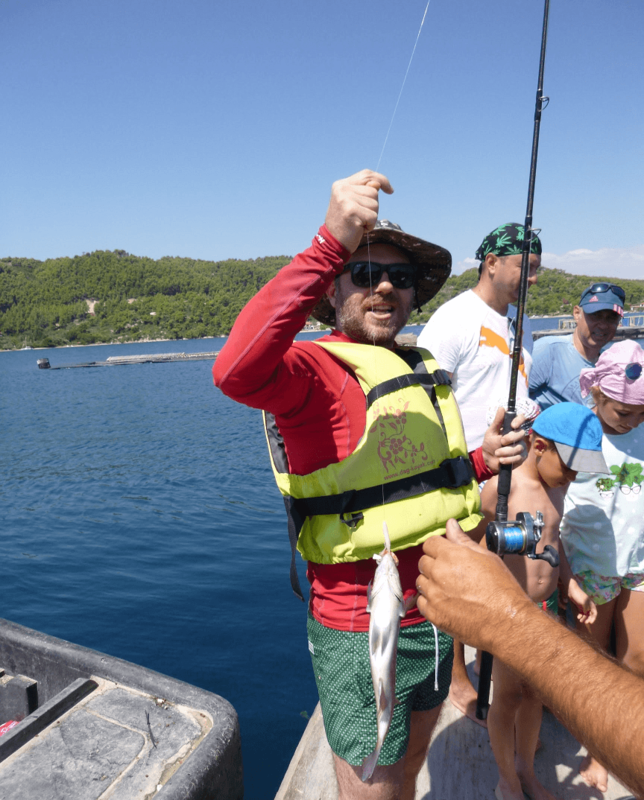 In collaboration with a private Fish company, we offer this unique Fishing Kayak experience where you have the opportunity to visit a traditional Fish Farm in the Vourvourou bay of Halkidiki. 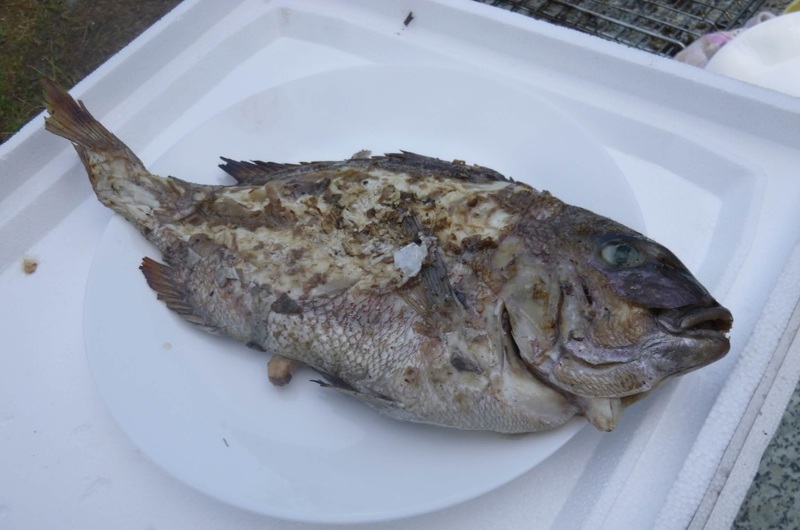 There you will learn about the fishes in the Fish Farm (usually sea bass, sea bream and weakfish) while feeding and fishing your own fish! 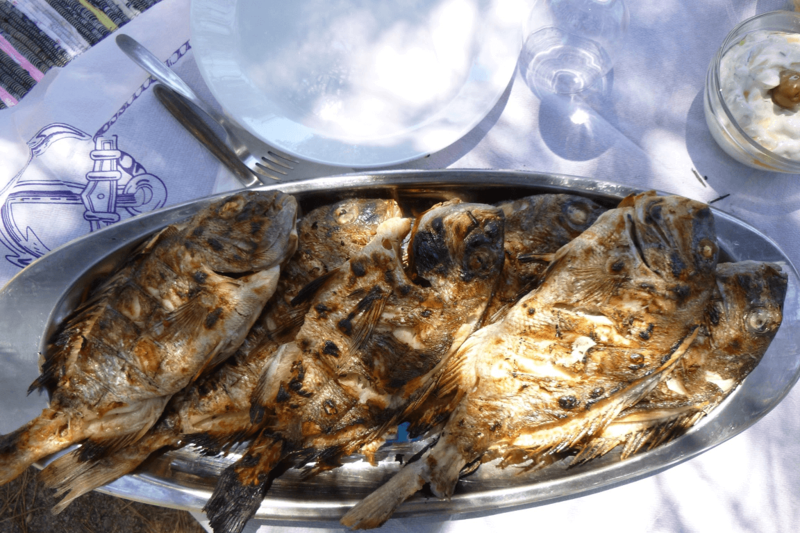 On average this 5 hours Fishing Kayak trip includes a 30 minutes preparation time 2 hours paddling exploration in Diaporos island for swimming and snorkeling, 1 hour approximately on-board the Fish Farm for fishing and about 2 hours on shore in our kayak base for grilling and eating the fish! 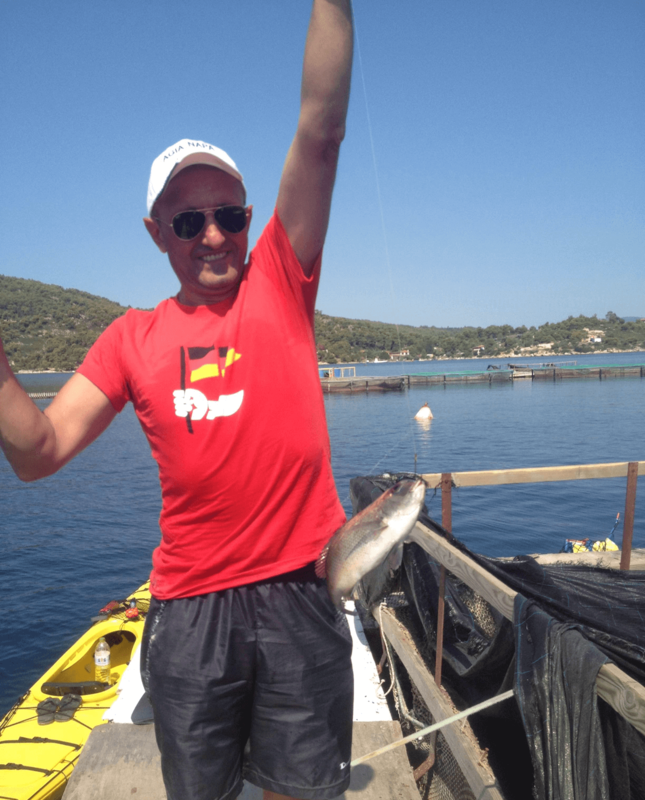 – Ultimate fishing kayaking experience in Halkidiki. Great for first-timers! 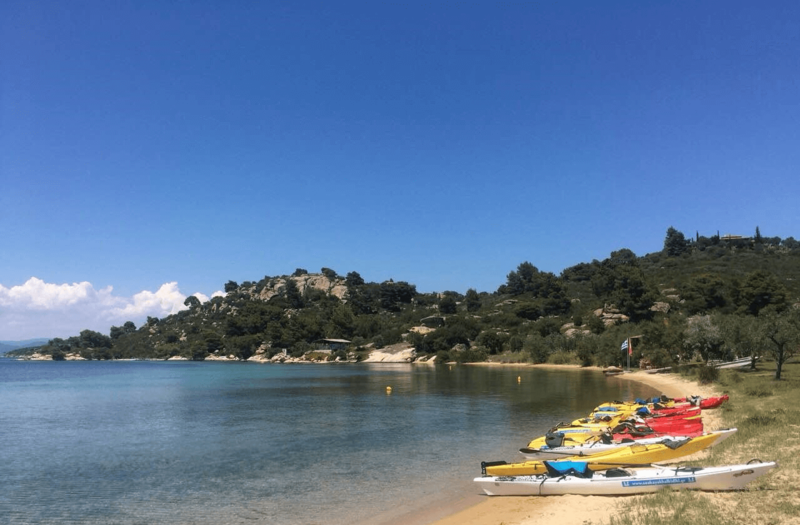 – Calm water, beautiful Vourvourou bay scenery excellent for swimming and snorkeling.